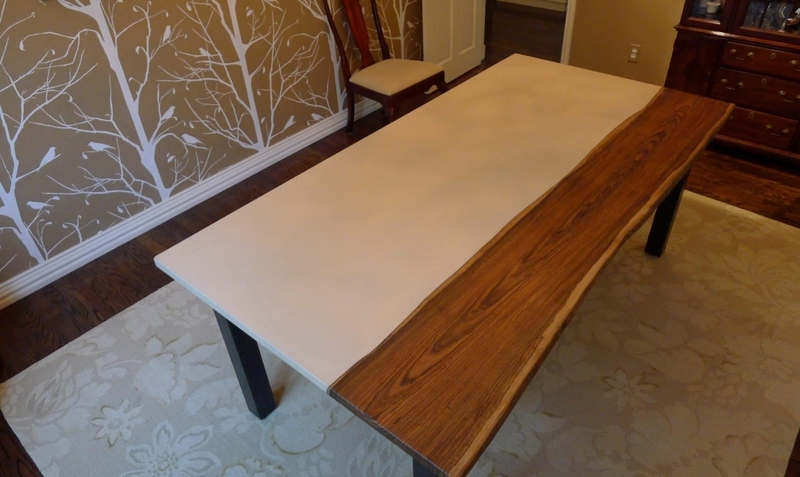 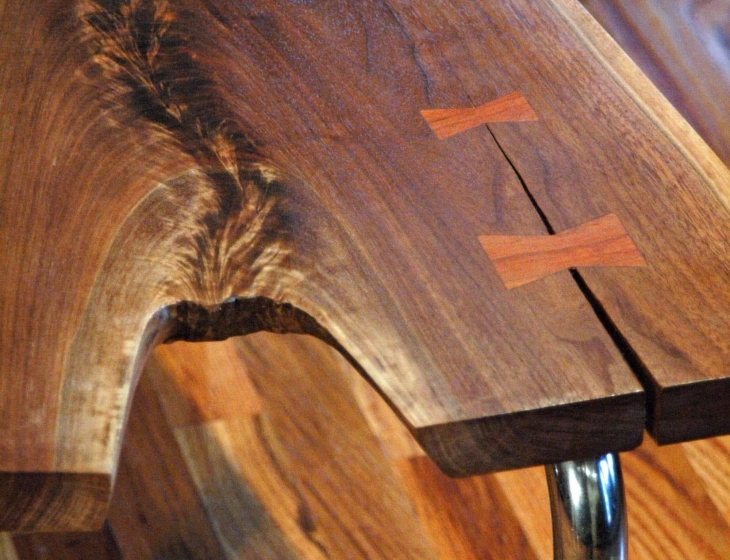 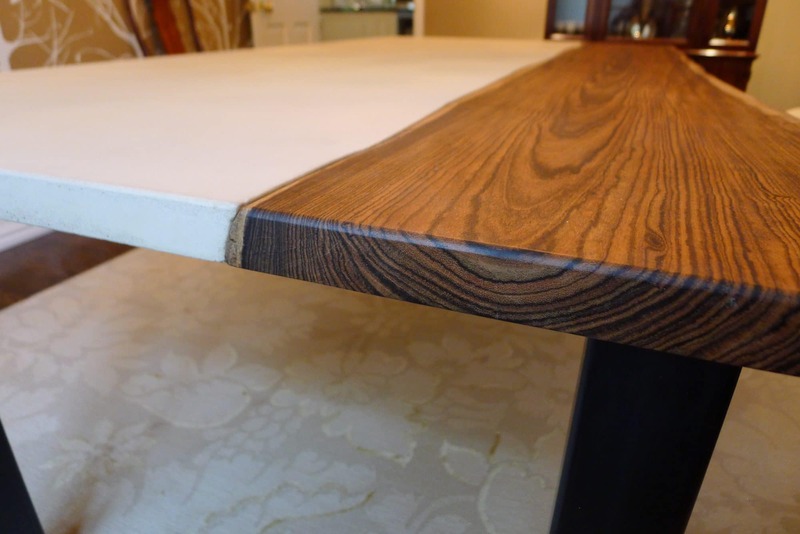 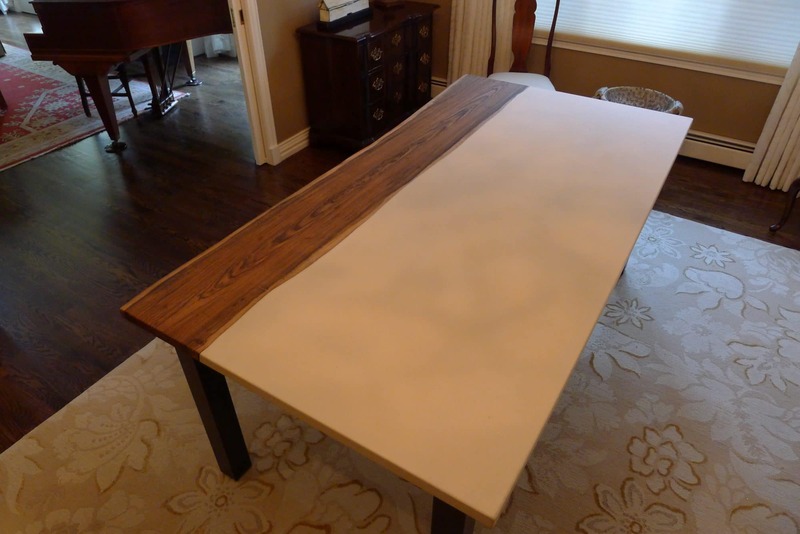 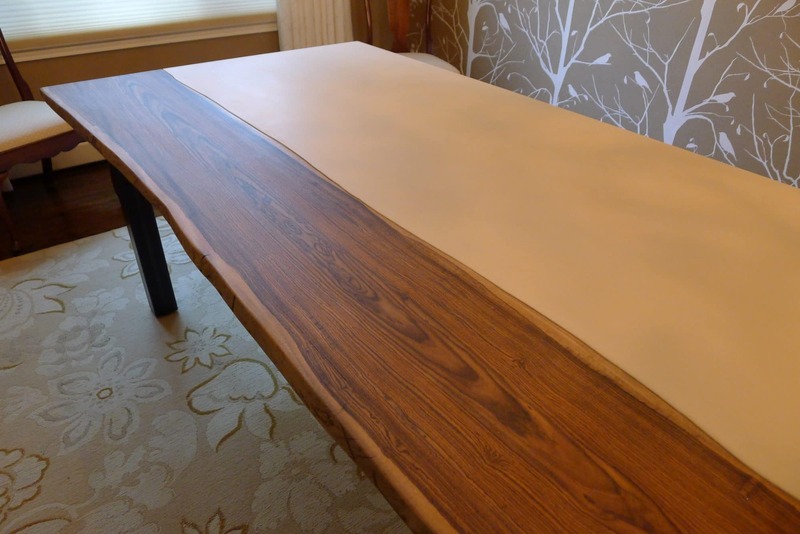 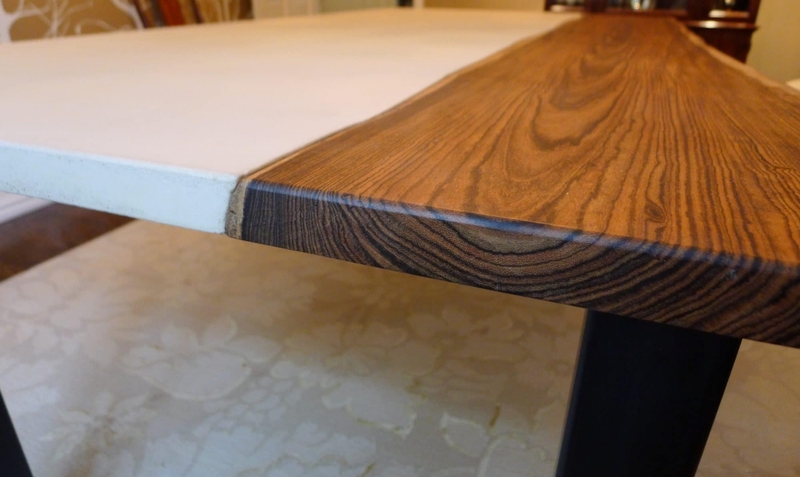 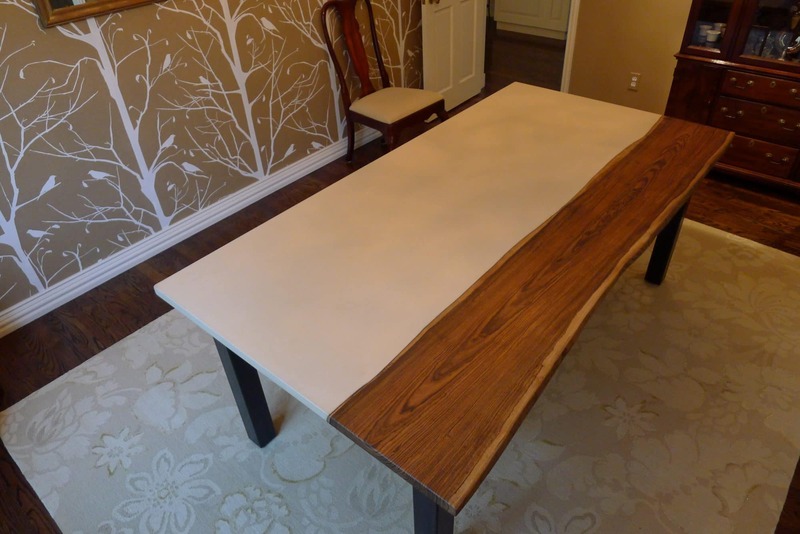 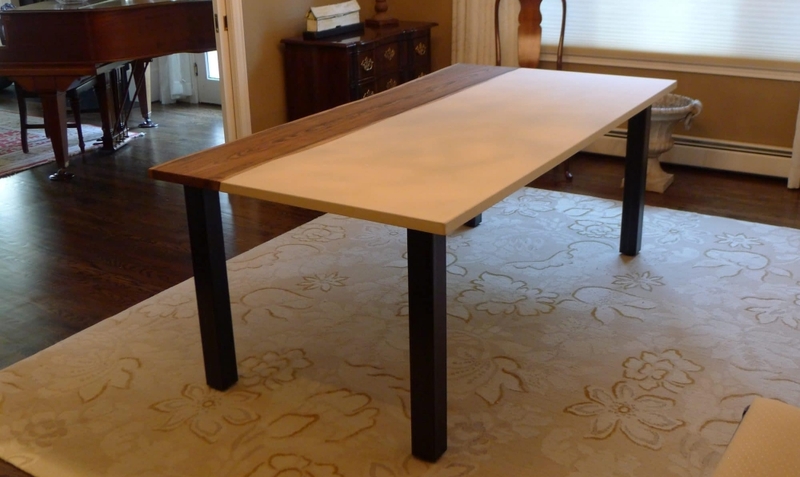 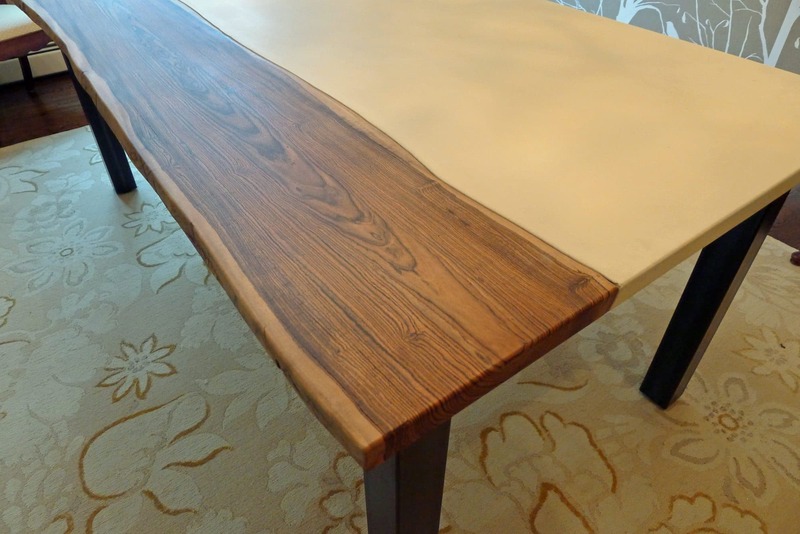 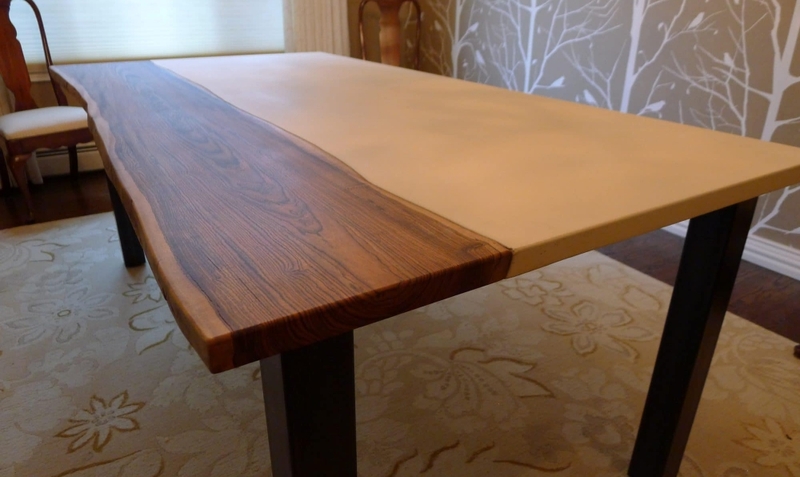 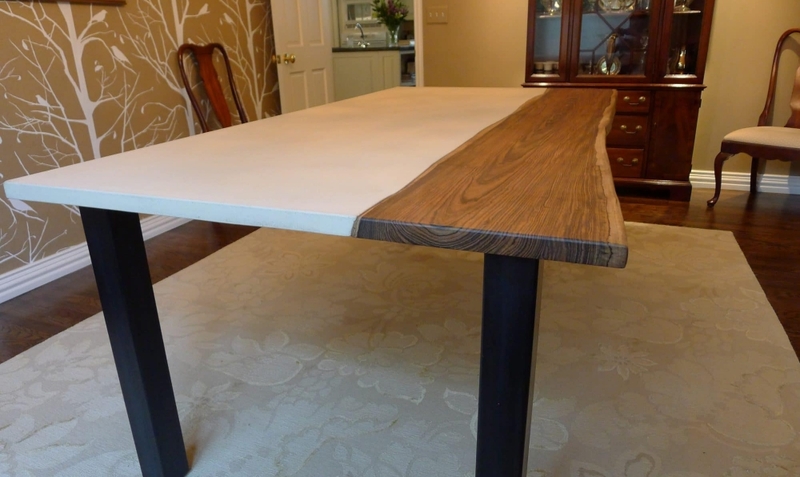 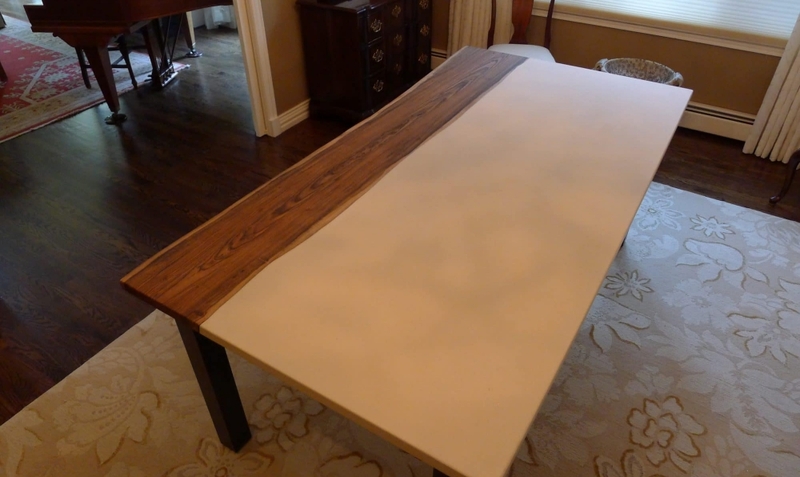 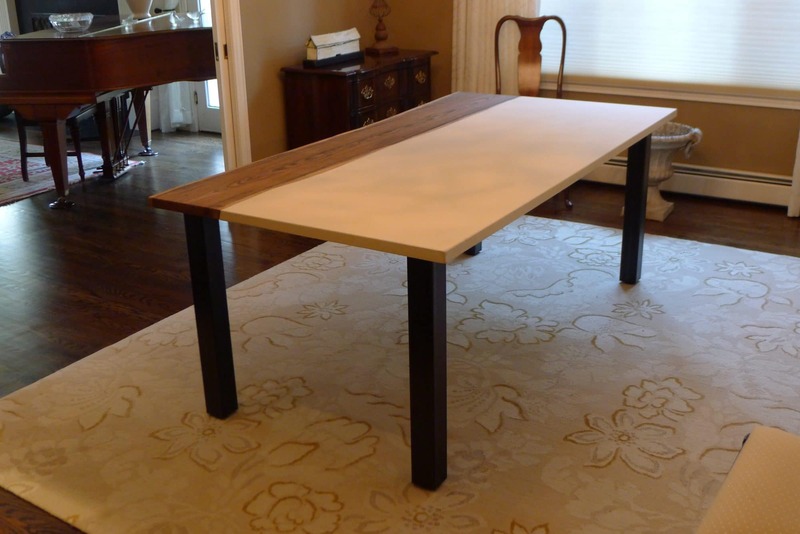 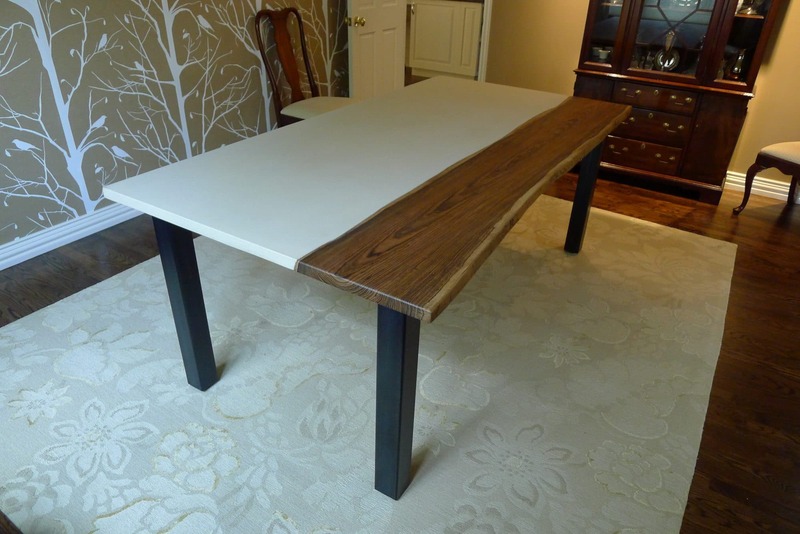 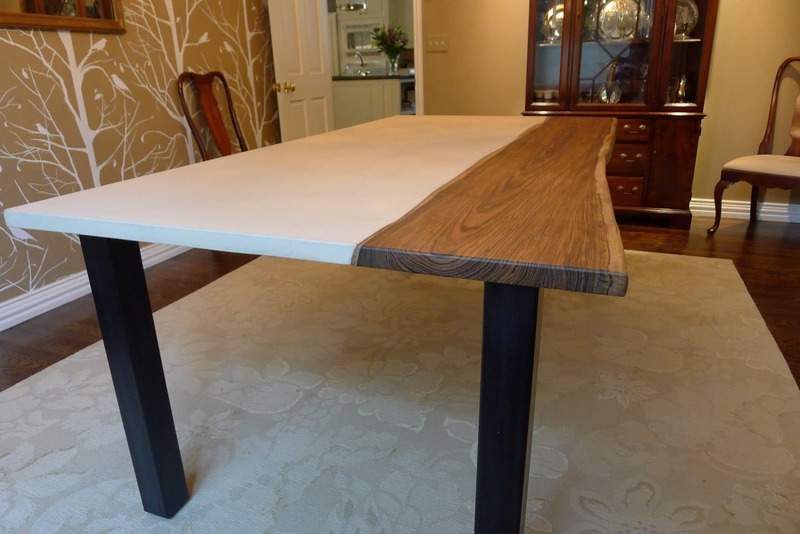 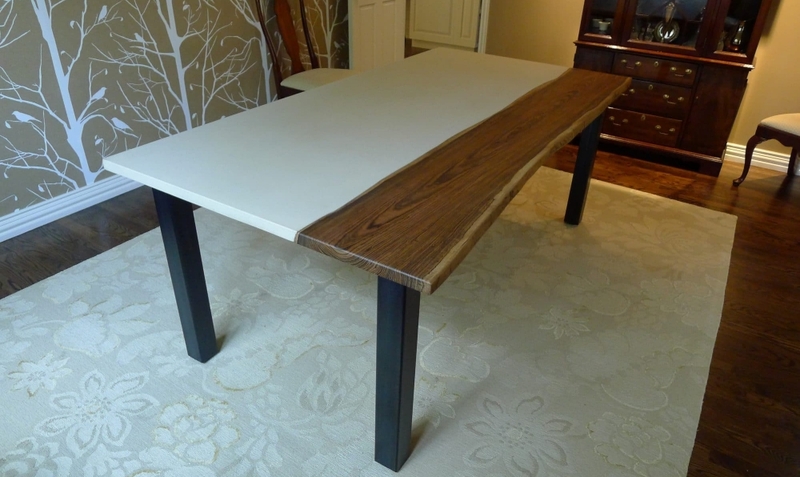 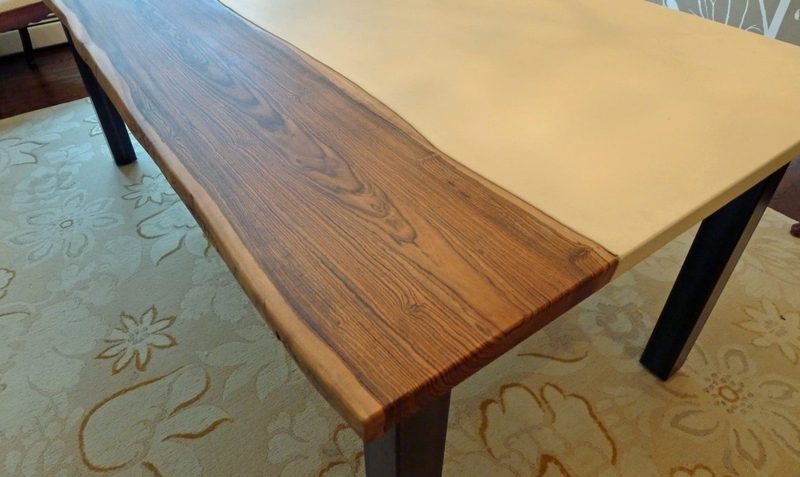 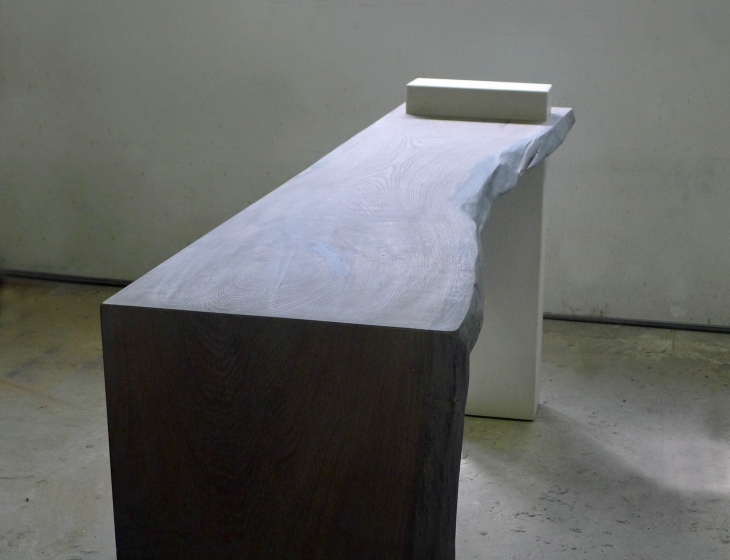 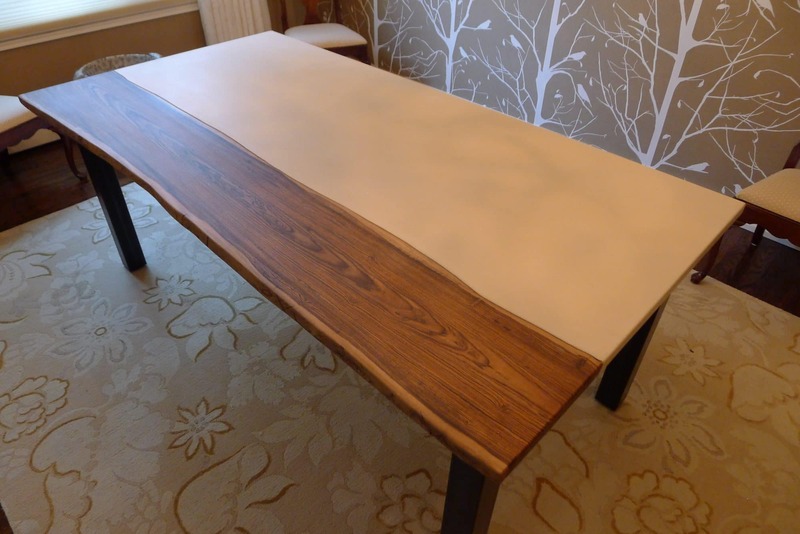 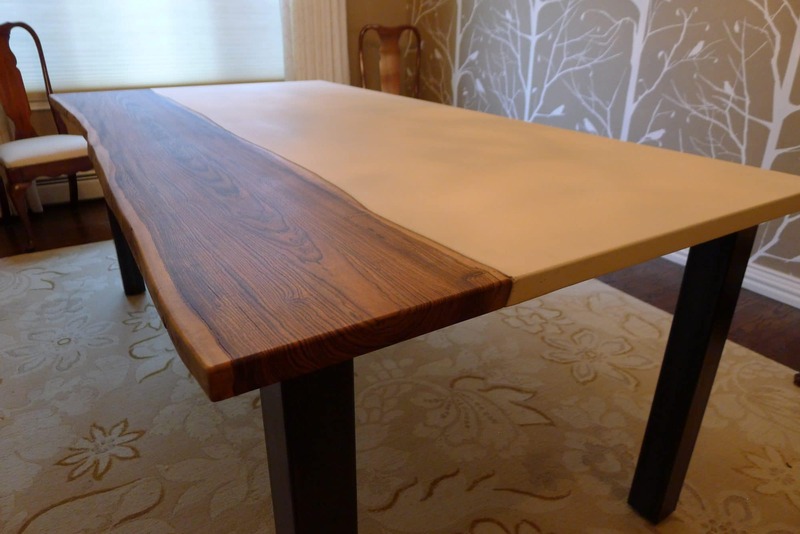 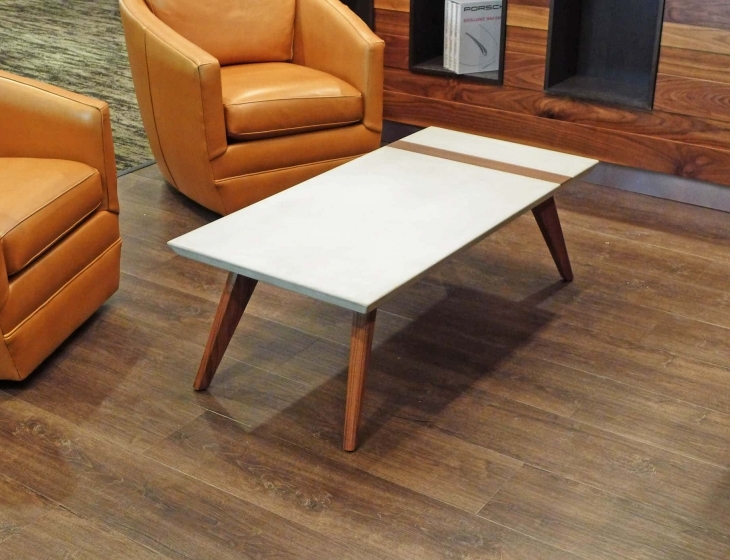 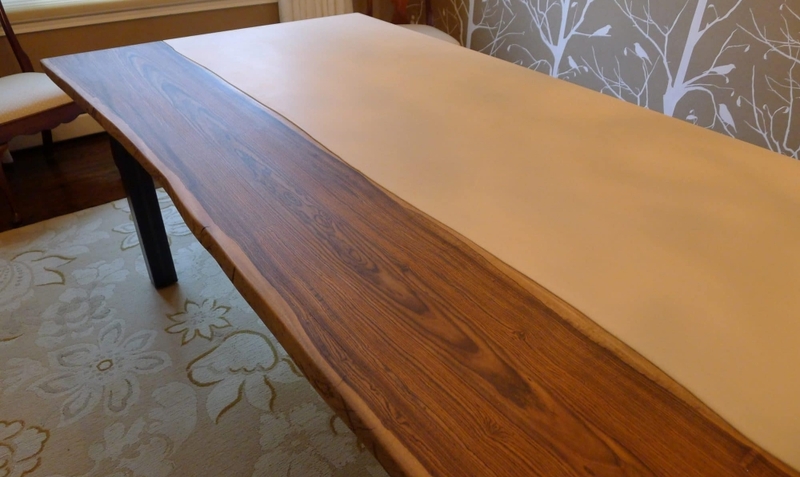 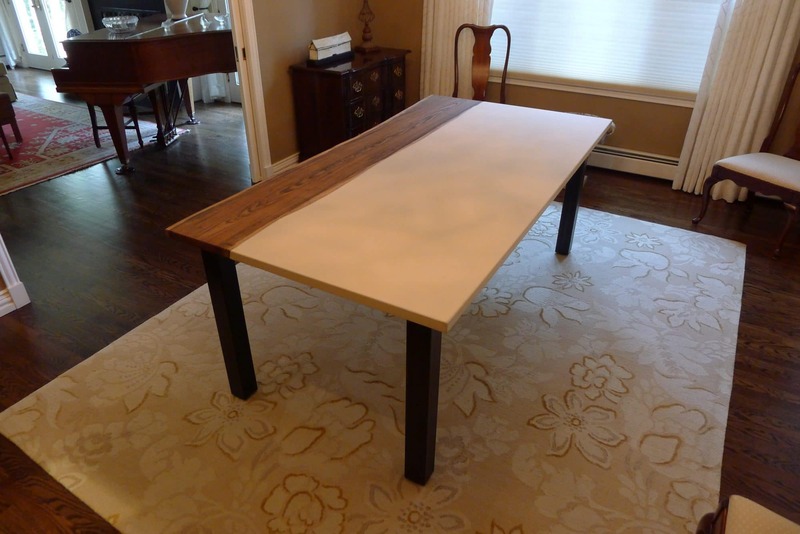 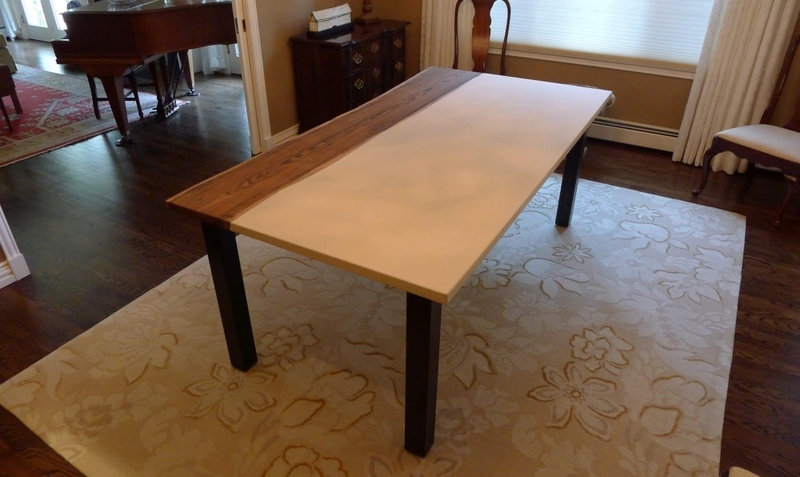 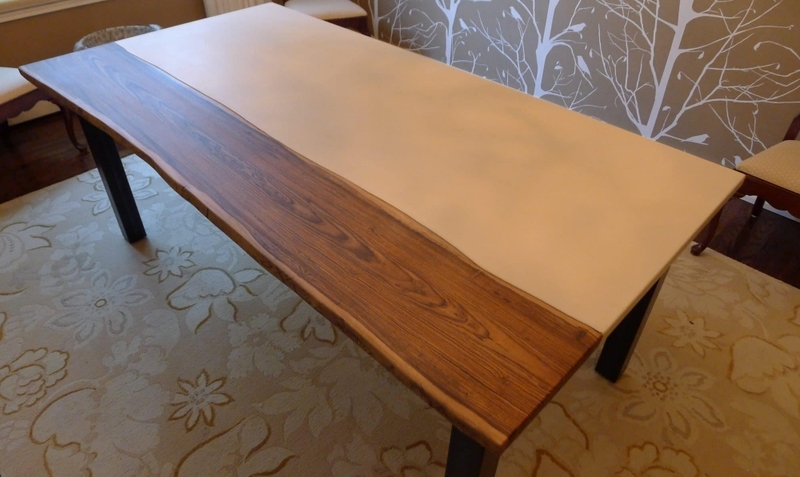 These clients picked out a gorgeous slab of Bocote, a sustainably raised tropical hardwood to inlay along one edge of their custom dining table. 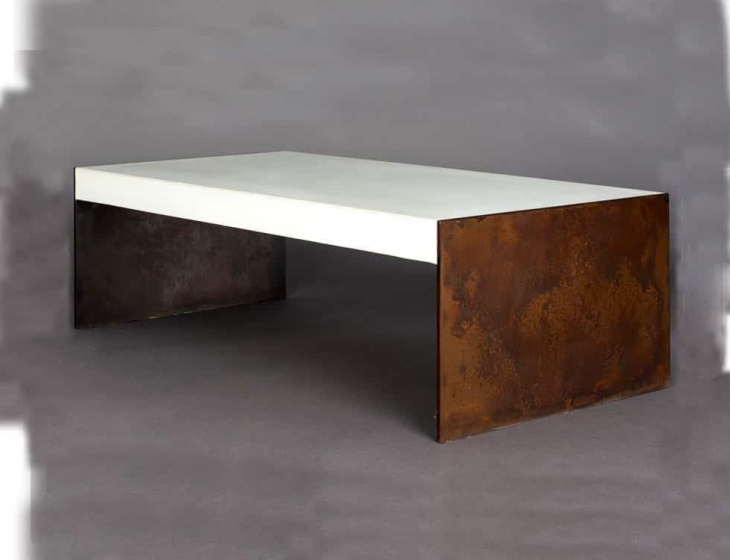 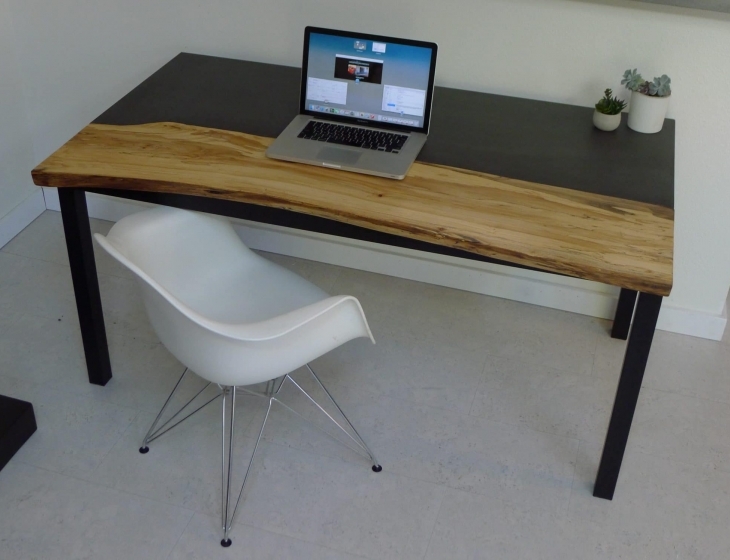 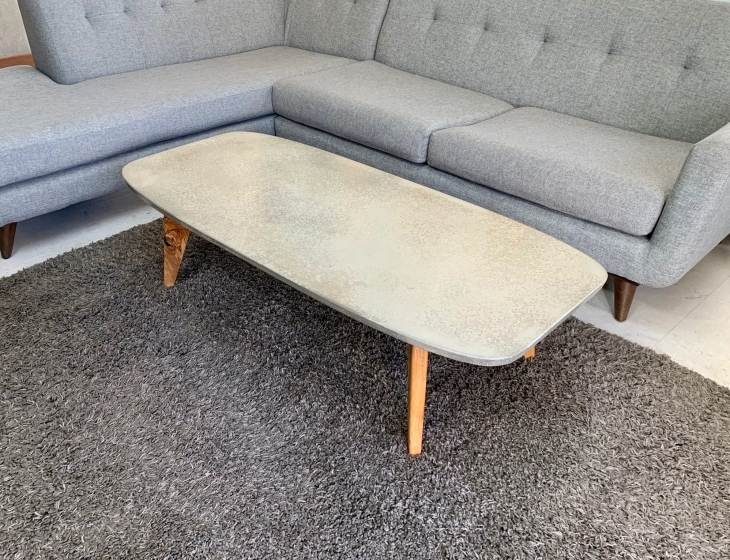 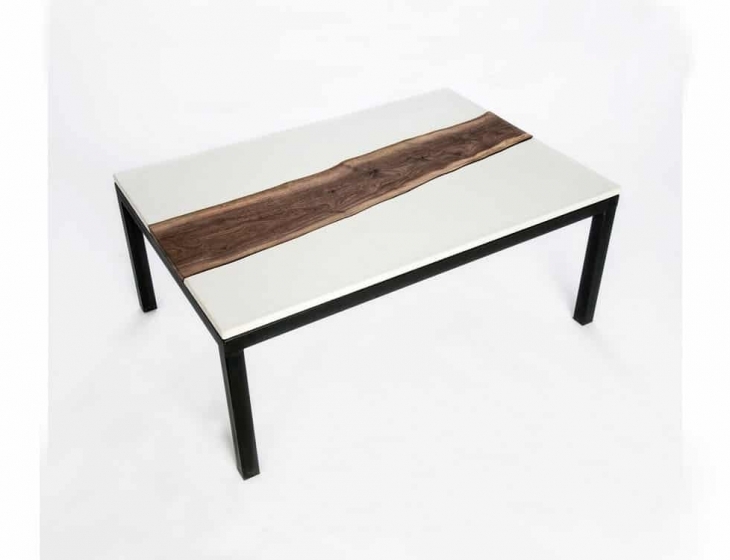 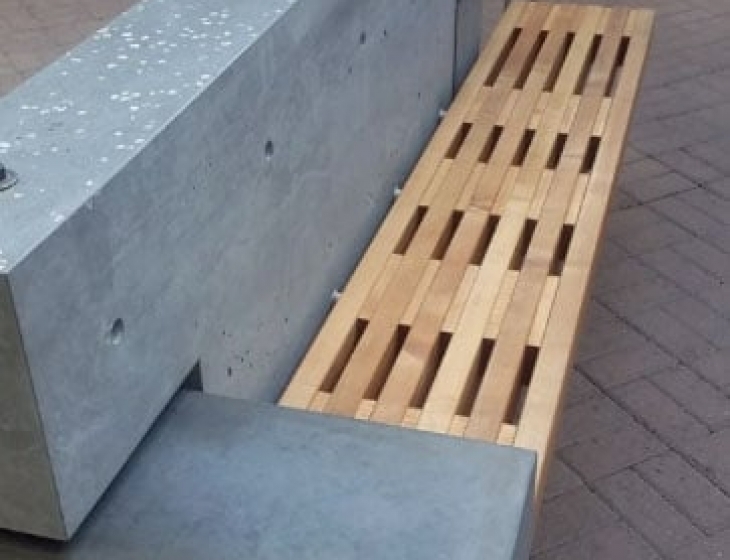 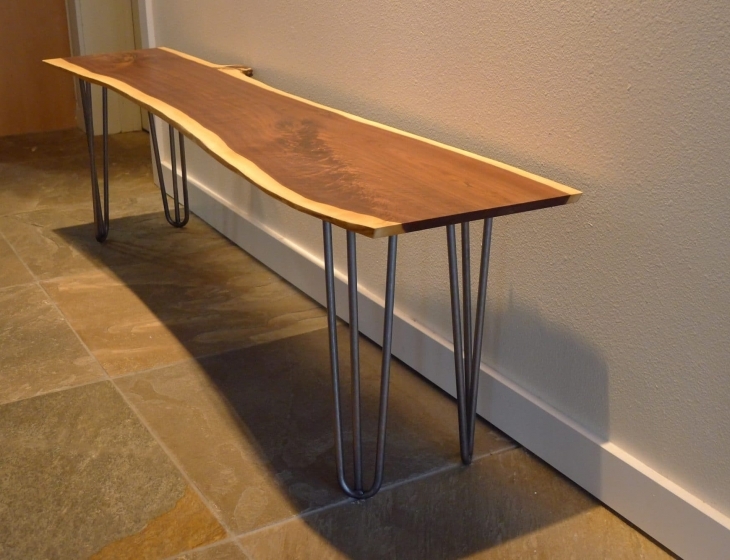 The base is hand welded with chunky 3″x 3″ tube steel legs. 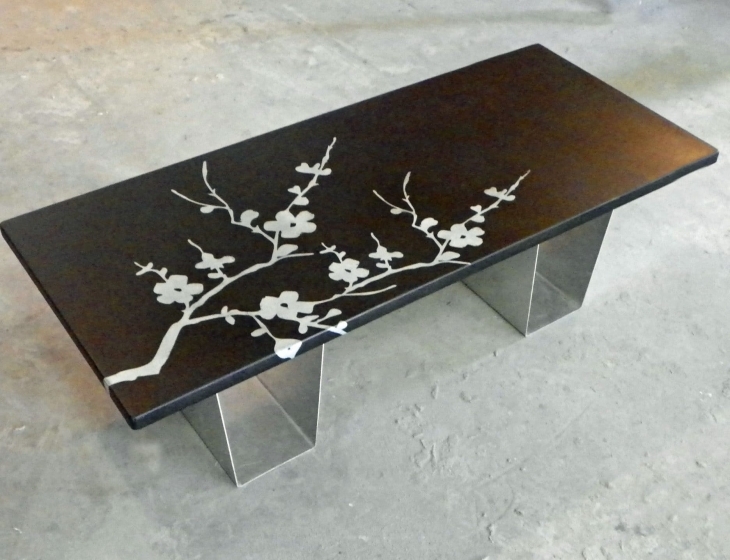 Metal is finished with a blackening patina and wax.